Scientific Method concept map created with Make-a-Map! Concept maps take on many different structure types like chains or loops like the student example shown here or they can resemble spiders or clusters. There are also compare and contrast designs as well as structure guides or hierarchical map configurations. Or, there might not be hierarchy at all. That’s what makes this tool so special. It embraces personalized meaningful learning allowing individuals to visually represent their knowledge. 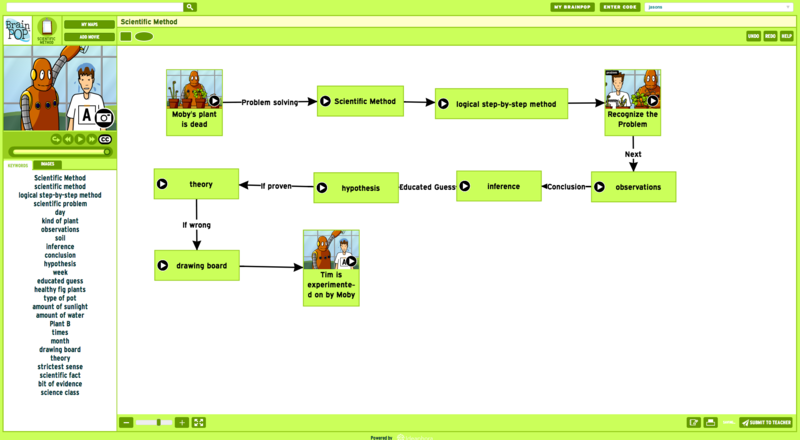 Don’t forget to watch our BrainPOP movie on Concept Mapping if you’d like to know more!